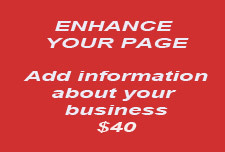 Your advertisement will be displayed 24/7 and linked into your business page on the website. Further information can be added to your page about your special promotion, further details on your business including opening times. If you don't have an advertisement, we can set this up for you at a minimal cost.